The use of oil and gas analytics is gaining significance for automating processes and guiding decisions regarding various activities associated with exploration, development, and production of oil and natural gas. With each passing day, the exploration and production of new hydrocarbon reserves is getting riskier, technologically as well as economically. This continuously generates large volumes of data associated with each aspect of manpower, materials, and machinery used in the entire process, starting with the survey of potential drilling sites in conventional and unconventional oil and gas reserves. The oil and gas industry is always seeking better and innovative ways to interpret, integrate, and exploit these analytics—especially gathered during exploration—to make accurate business decisions. The smarter use of ever-growing burgeoning data sets helps oil and gas companies to enhance recovery rates, minimize environmental and human safety concerns, and considerably reduce drilling expenses. In recent years, the emergence of big data and the development of mechanisms to exploit these data have largely transformed the oil and gas analytics market. The growing adoption of Internet of things (IoT) and sensors has increasing added to the capabilities of oil and gas analytics to guide decisions. Big data analytics are increasingly being used by oil and gas majors such as Royal Dutch Shell, BP, Total, ExxonMobil, and Chevron to streamline various workflows that include refinement, transport, and retail distribution of oil and gas. The oil and gas analytics has occupied crucial point between data scientists and technical petroleum professionals including engineers. This has at times led to interesting technology breakthroughs in oil and gas exploration and production. Furthermore, witnessing the possibility of potential rewards, several major technology players such as Amazon, IBM, and Microsoft are offering innovative offerings to drive analytics-driven decisions. Oil and gas analytics instrument is employed to obtain actionable judgment for improving upstream, downstream, and midstream business processes. This is done by analyzing big data in order to provide real-time analysis for accurate decision making, enhancing productivity, reducing finance risk, and for finding the major cause of production loss. 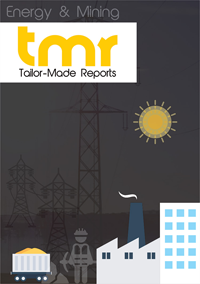 The report presents facts and figures relevant to the global oil and gas analytics market in a chronological order. With an analysis of past and current growth trends, analysts present satisfactory predictions regarding the growth prospects of the market. Thus, the users of the report receive accurate predictions of the global oil and gas analytics market that can be utilized to devise cutting-edge business strategies for the future. Using standard analytical tools such as SWOT analysis and Porter’s Five Forces analysis, the market study presents useful insights about the indices of strengths, weakness, opportunities, and threats of the market from 2017 to 2025. The plummeting crude oil prices combined with high costs of exploration and production of conventional and unconventional resources is driving the global oil and gas analytics market. The use of analytic tools is effective for obtaining real-time data at reduced cost and to improve production efficiency from 6% to 8%. The rising demand for midstream infrastructure will also augment the growth of this market over the next few years. Moreover, increasing volume of data in the oil and gas industry will further fuel the growth of the oil and gas analytics market between 2017 and 2025. The abundance of unconventional resources in the U.S. is further favoring the market’s growth. In 2016, a U.S. based company Cobalt discovered a natural gas well in Block 20 offshore Angola and recent exploration of the well by Sonangol is expected to produce 2 million barrels of oil per day for the next three years. The expansion of oil and gas refineries to cater to the increasing demand for petroleum products is expected to boost the growth of the oil and gas analytics market. For instance, in 2016, ExxonMobil announced that it will expand the refining capacity of Beaumont refinery to 40,000 barrels by 2018. Strict government regulations for enhanced safety during oil and gas operations will further boost the market’s growth. The increasing investments in digital technology by oil and gas companies for increasing workforce productivity and reducing cost will fuel the growth of the global oil and gas analytics market in the coming years. North America is the largest market for oil and gas analytics. In this region, the U.S. contributes significantly to the growth of this market due to the increasing exploration of unconventional resources. However, Asia Pacific is expected to emerge as a significant market for oil and gas analytics. The increasing number of refineries in India combined with the increasing capacity of existing refineries is fuelling the growth of the regional market. Europe accounts for a significant share in the global oil and gas analytics market. The increasing adoption of digital technology for optimizing oil and gas operations will drive the oil and gas analytics market in this region. Some of the leading companies in the global oil and gas analytics market are Accenture, Drillinginfo Inc., Tableau Software, Capgemini, Deloitte, SAP SE, IBM, Hewlett Packard Enterprise Development LP, Cognizant, Oracle, Hitachi Ltd., Cisco Systems Inc., Microsoft, TIBCO Software Inc., and SAS Institute Inc.